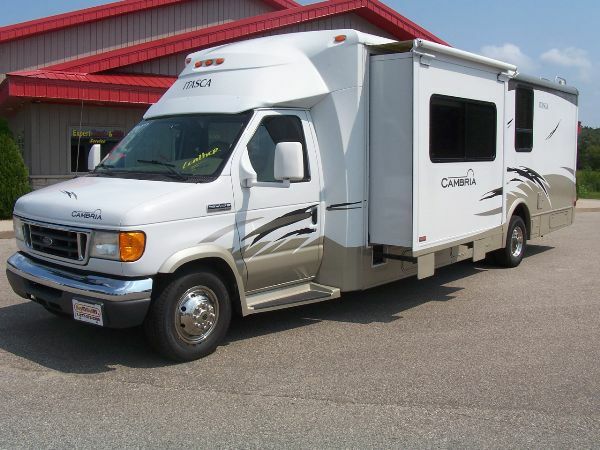 JUST IN AND IN EXCELLANT CONDITION.BRAND NEW michelin TIRES AND BATTERIES.STAINLESS STEEL WHEELS..ONAN GENERATOR.HWH automatic HYDROLIC JACKS.BACKUP CAM/MONITOR.metal wrapped TWO STEP MAIN AWNING.SLIDEOUT AWNINGS.ROOF DUCTED AIR CONDITIONING.POWER HEATED MIRRORS.TOWING PACKAGE.AUTOMATIC ENTRACE STEP.REAR SERVICE LADDER.COCKPIT HAS LEATHER CAPTAINS CHAIRS.DASH AIR.POWER WINDOWS AND LOCKS.POWER HEATED MIRRORS.outside AM/FM CD PLAYER. FRONT ENTERTAINMENT CENTER WITH NEW HD TV..SLEPPER SOFA AND DINETTE BOOTH. FULL KITCHEN WITH LOTS OF STORAGE. TWO FRIG/FREEZER.DOUBLE SINK. MICROWAVE.RANGE WITH OVEN.REAR QUEEN WALK AROUND BEDROOM.FULL BATHROOM.THIS COACH JUST CAME BACK IN ON TRADE AND IS EXTREEMLY NICE INSIDE AND OUT. SERVICED AND INSPECTED LIKE OF OF OUR UNITS. NEED MORE INFO GIVE US A CALL OR EMAIL.